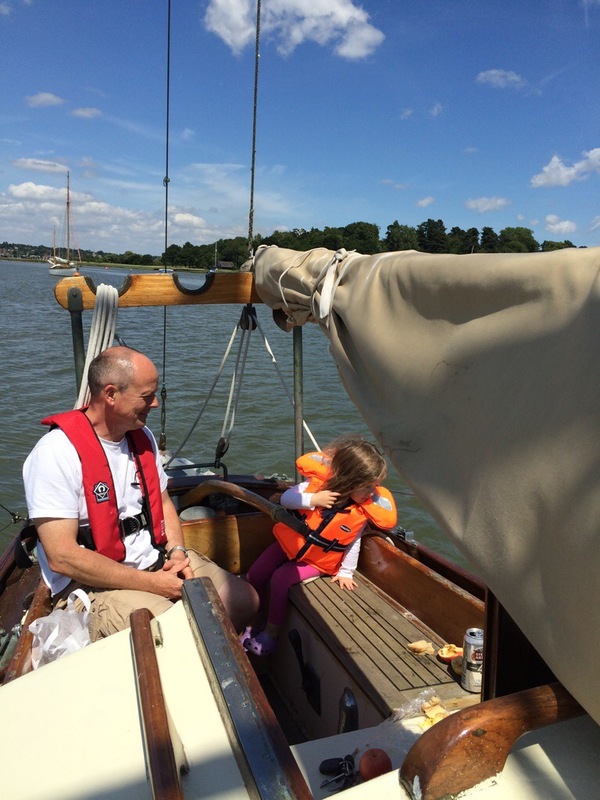 At last…I finally managed to spend a couple of hours on Drumler, afloat! Wednesdays are househusband days for me, so during the day I look after our 2 year old while the other two children are at school. 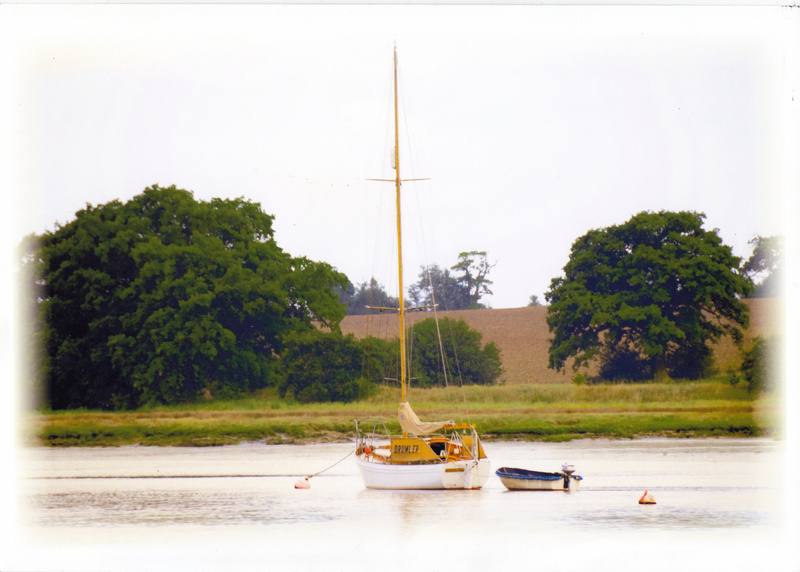 It was a gorgeous sunny day, and plenty of time between school runs to have a motor – I couldn’t yet put the sail up as I hadn’t yet got the running back stays back from the rigging people (though I did get them last Friday). But I wasn’t too confident about taking Drumler out singlehanded with Grace on board, so I managed to persuade my mate Nick to come out with me for a brief motor and a picnic. Here is Nick keeping an eye on her – Grace steadfastly refusing to look at him or even anywhere near him. In fact, she behaved herself immaculately, and seemed to enjoy the whole trip, which bodes well for the future. Once we had returned to the mooring, and were munching our picnic, another boat came by and the skipper called out: “Is that Drumler?”. When I said yes, he neatly circled around and then, calling his wife out on deck, got her to pass me something, which turned out to be the picture below. “I’ve been meaning to give that to you for the last 2 years” he said, as he sailed into the distance. Now that’s another example of why I like sailing..